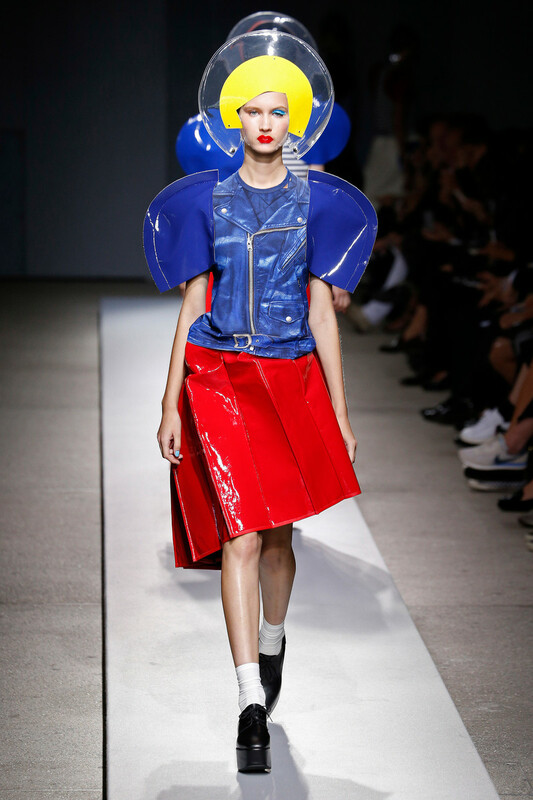 Junya Watanabe never designed for the mainstream client, but his collection for spring was more extravagant than we’ve seen from him in a while. 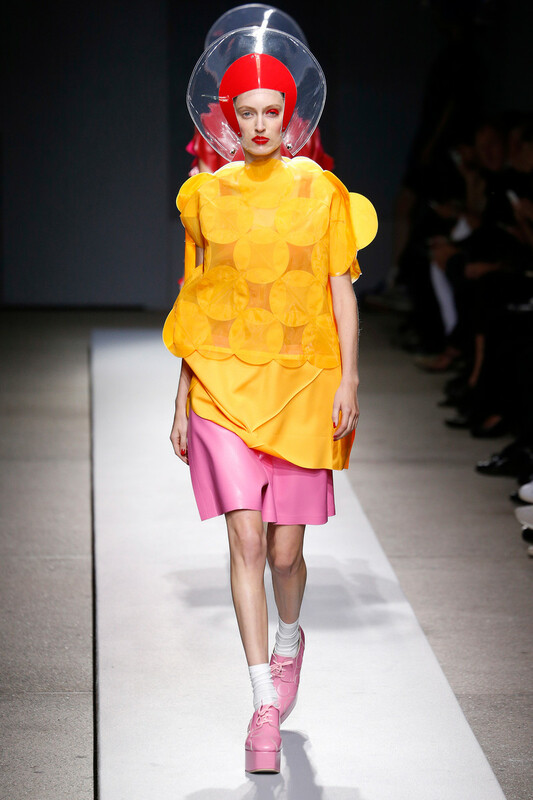 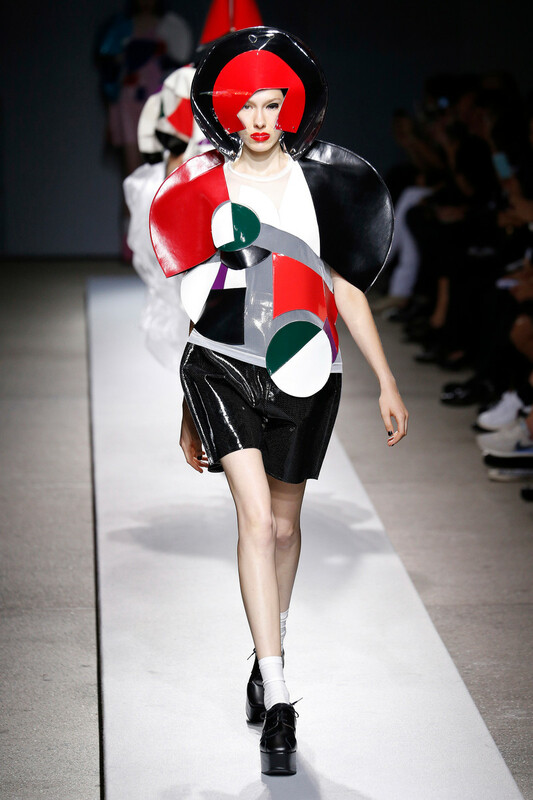 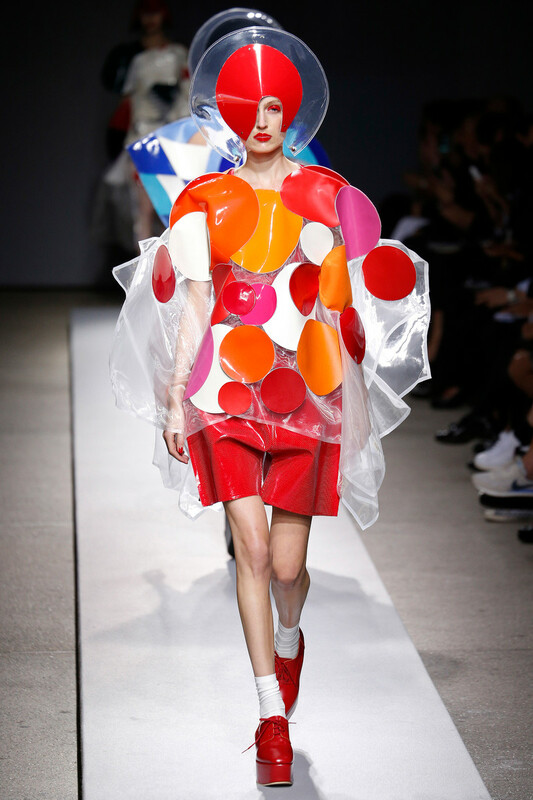 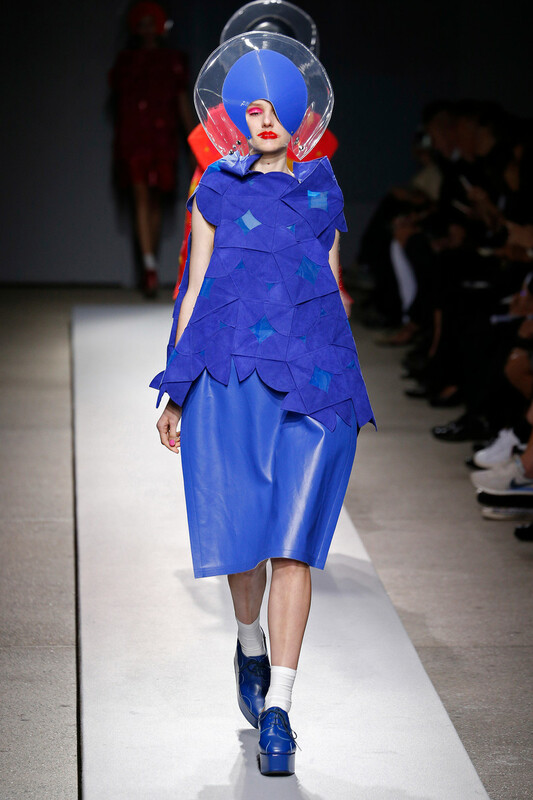 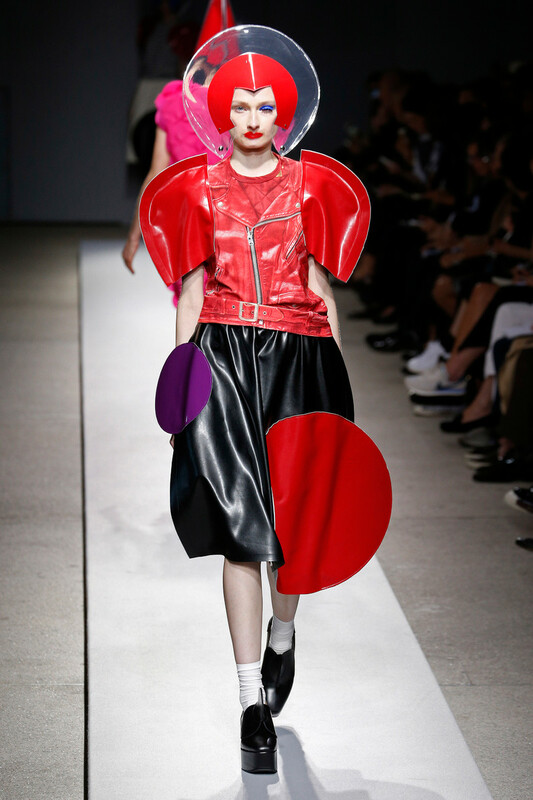 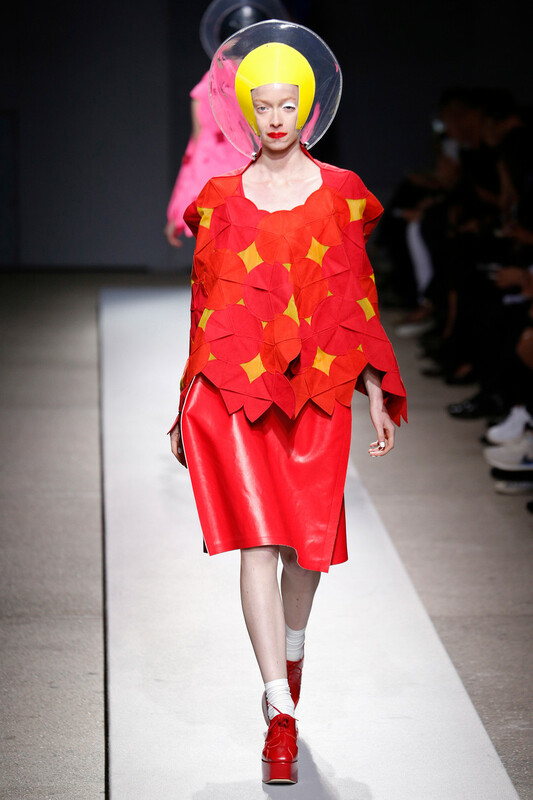 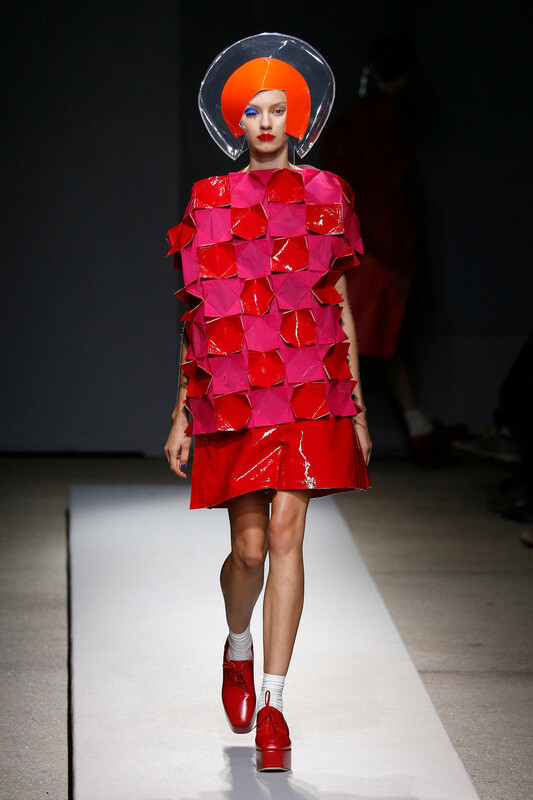 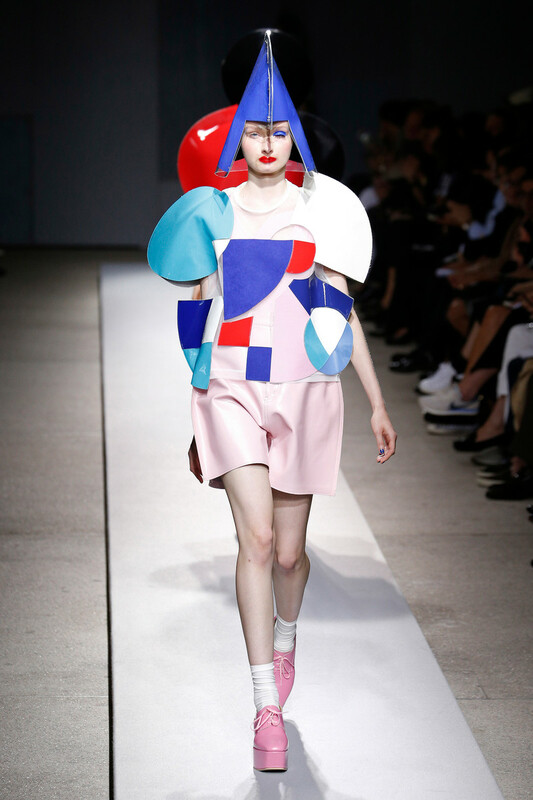 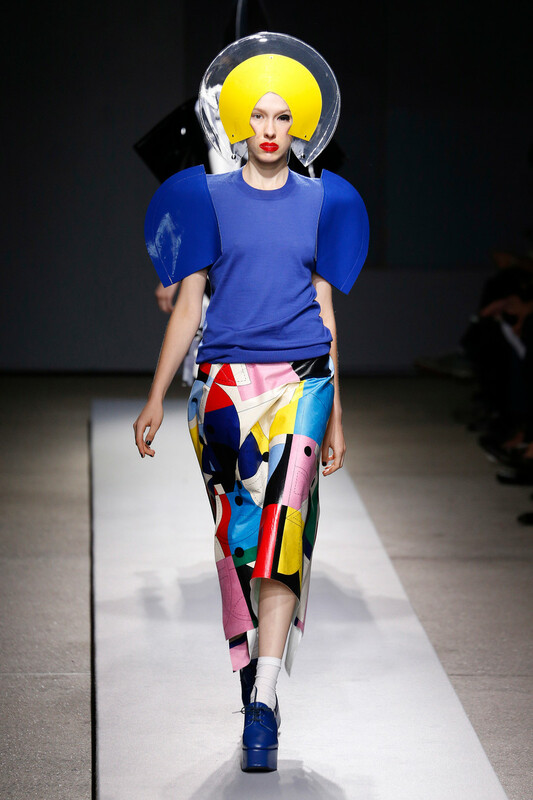 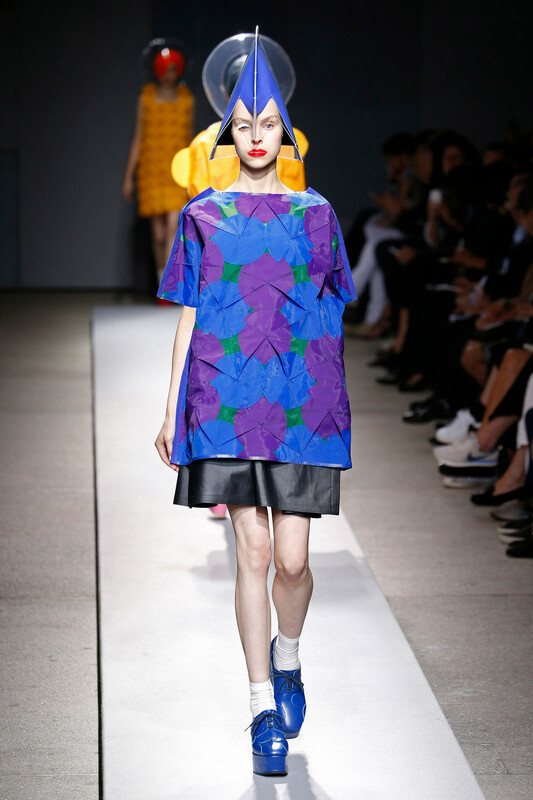 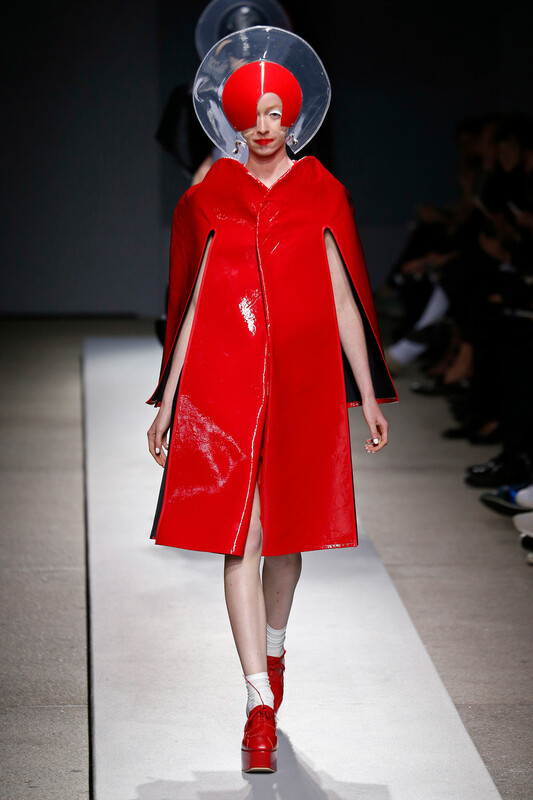 Cartoonesque figures strutted his runway, sporting bright colored, latex disc shaped clothing, shoes helmets and bright make-up to match. 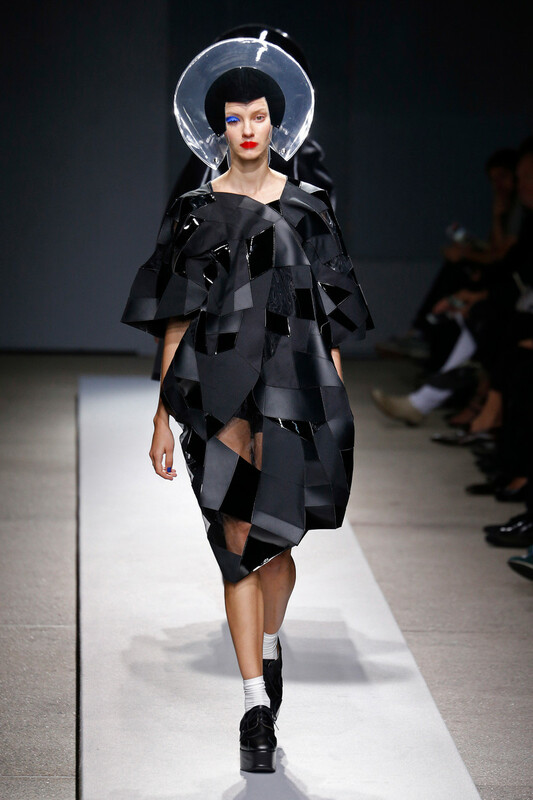 The silhouette, if there was any, was about bare legs and architectonic shapes. 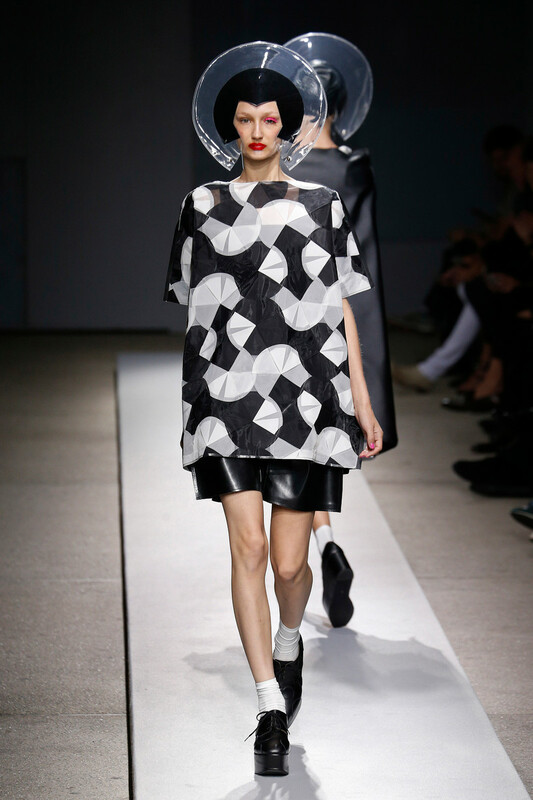 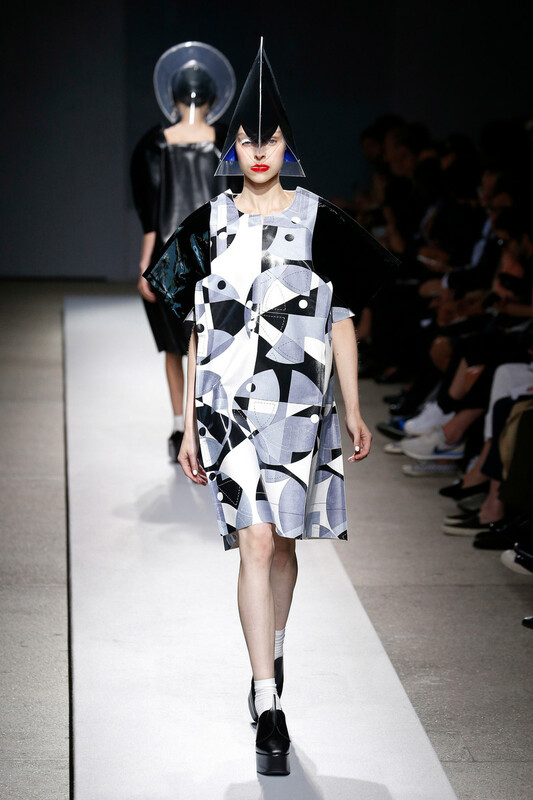 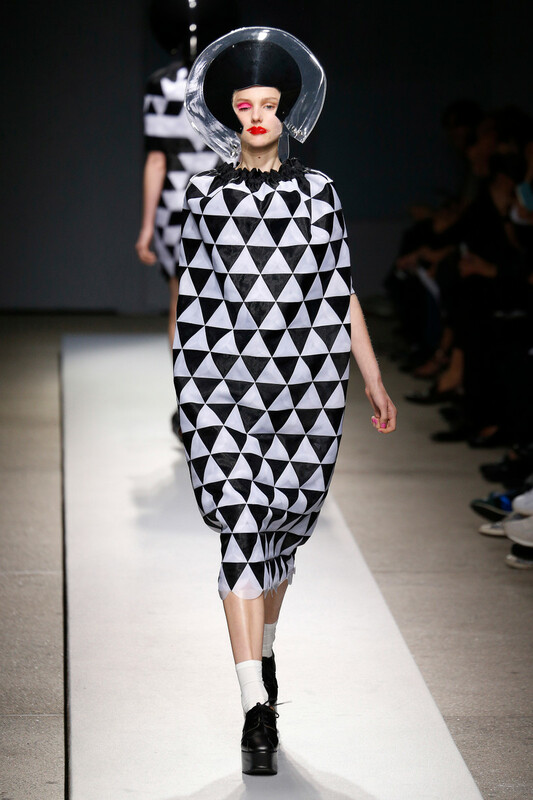 Round discs at the shoulders, 3D, origami-like effects on the tops, asymmetric, zipped skirts at the bottoms. 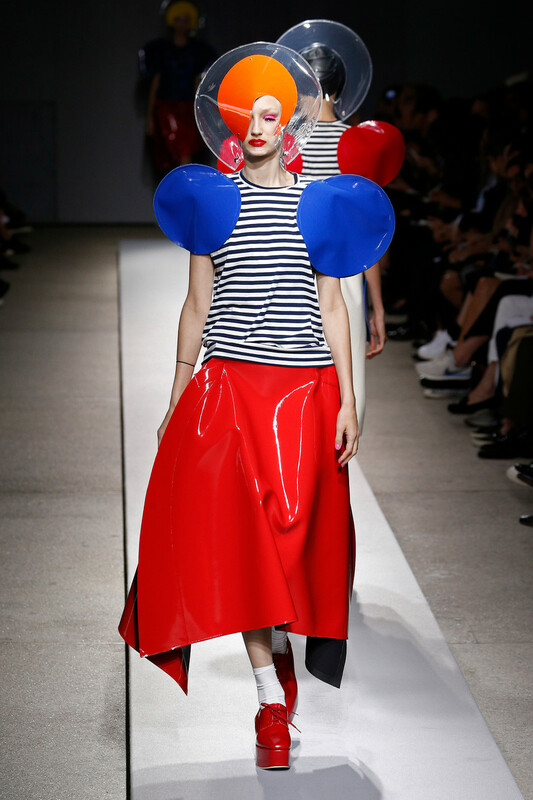 Breton stripes and biker jacket influences referred to the designer’s signatures. 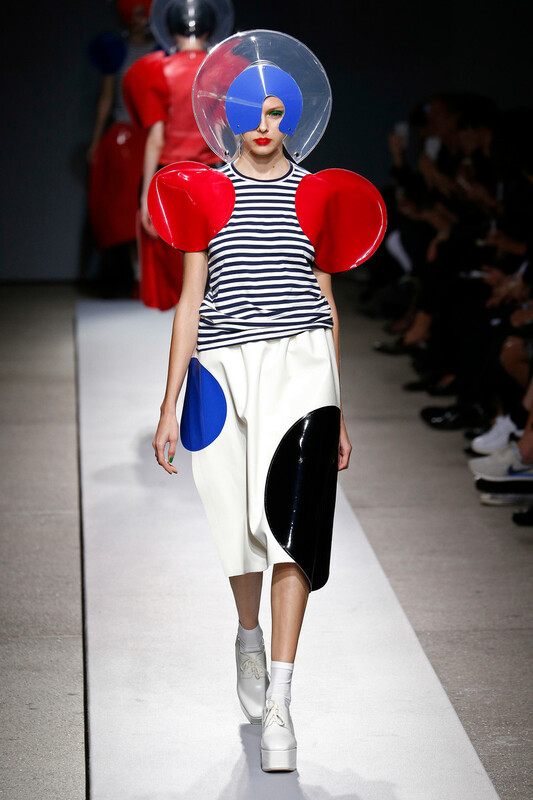 Other than that it was hard to recognize real wearable pieces. 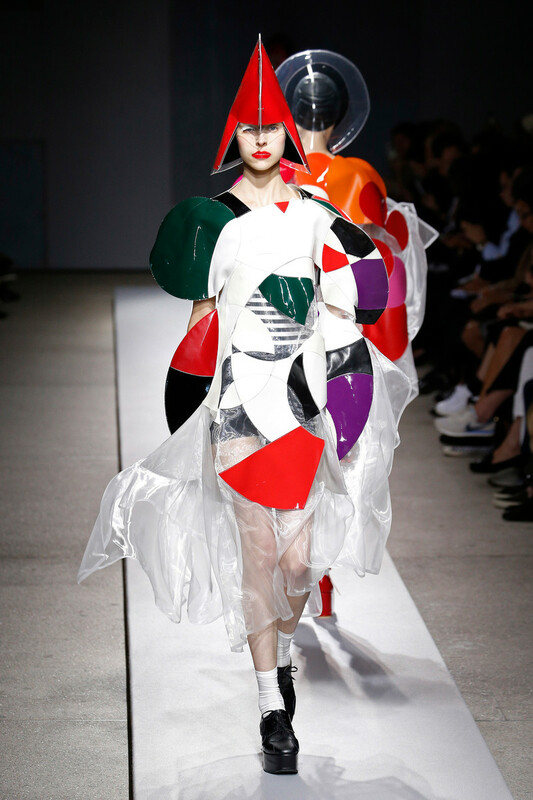 Most looks were real show numbers, belonging in a fashion expo or on stage. 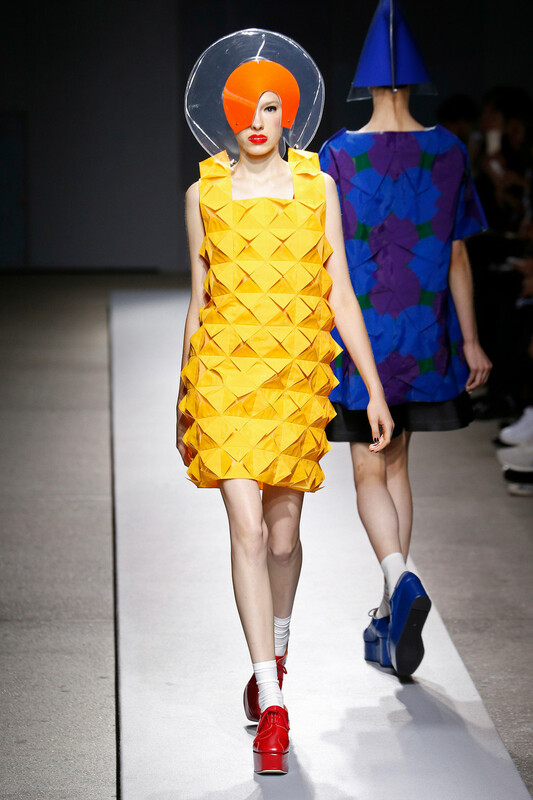 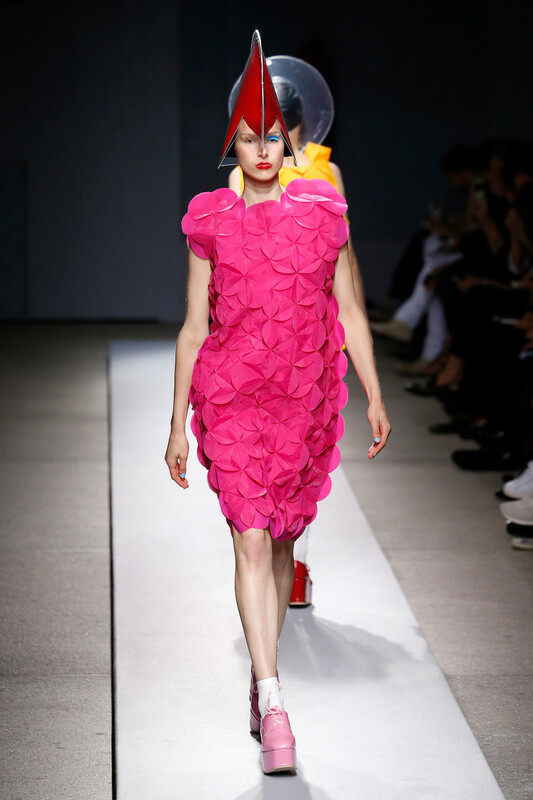 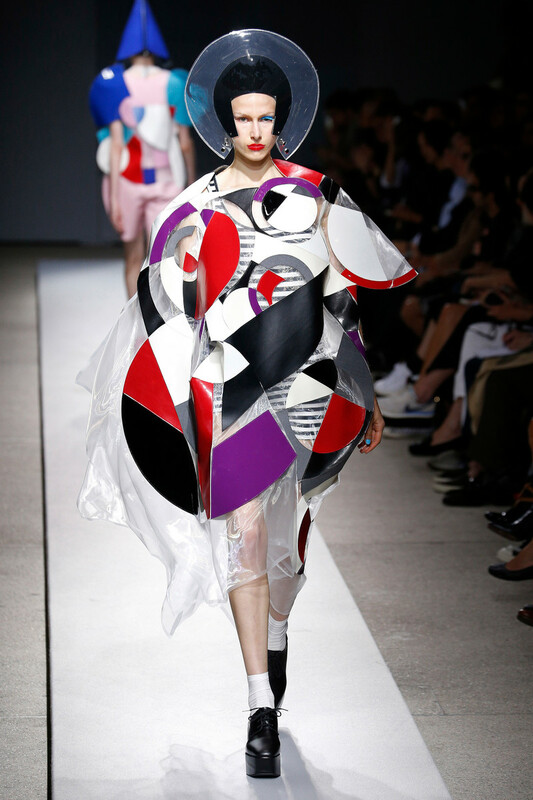 Both Gaga and Minaj would be pleased to pull some performance pieces from this collection.